Google has made dramatic changes in 2013, with the May 22 Penguin update having the biggest impact for small business websites. After some severe reductions in traffic, some webmasters are at least seeing traffic increases in August due, in part, to a Panda softening from Google. In response, many webmasters are making big shifts in SEO tactics. While long overdue, this is the right move. Few businesses are looking to move to lower quality SEO services as they now fear Google more than ever. But small businesses run very close to the margin and traditionally resist increasing the SEO budget, regardless of the consequences. Here are four reasons why small business owners should reconsider. While many will dismiss this as PR, Google has clearly communicated that they no longer will tolerate SEO tactics that used to work in 2008. Article spinning, keyword stuffing, excessive bookmarks, reborn domains, paid links, thin content, and duplicate content are all not OK. Even if you haven't received an unnatural link warning, the writing is on the wall. Quality must increase for continued success in SEO. While this message is clearly self-serving for Google, it's important to respect their power in the industry. There are plenty of websites that have partially recovered from Penguin downgrades, but each case is different. The level of returning traffic varies. Technical issues on-site are the easiest to fix and should be addressed quickly using Webmaster Tools as the guide. Duplicate content needs to be removed immediately. Keyword-stuffed titles need to be edited. Thin content, a favorite among many, should be replaced with real content marketing. Off-site issues, such as bad link building, are particularly hard to fix. It is very ironic that firms now exist to send "link removal request" emails to other firms who were previously retained to build those links. Small business needs to stop doing bad link building and embrace content marketing. They need to get creative and experiment with newsjacking. All of these activities cost money. Smart business owners are thinking toward the future and deciding to spend more on SEO now (via higher quality services) to avoid repeating this activity in 2014. Many small business webmasters were using a "set-it-and-forget-it" SEO strategy, believing that they need not worry about SEO after hiring a firm. This violates one of the major tenets of business process outsourcing, which is to outsource process and execution, but maintain strict performance monitoring and accountability. It isn't surprising that many small businesses are feeling buyer's remorse, wishing they had done greater due-diligence in the vendor selection process and better understood the risks associated with SEO. It should be clear at this point that SEO is no longer a technical exercise and is rapidly merging with marketing and public relations. Smart CEOs recognize the strategic importance of SEO in our digital world. For this reason, they find ways to amplify SEO in allmarketing activities. Ironically, many companies have SEO opportunities they don't harness. For example, every employee should maintain a "work" Twitter account and share industry news, blog posts and company specials to help spread content. This type of integrated SEO marketing execution is the future, and will draw more budget dollars. 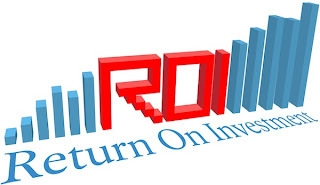 - SEO remains a very high ROI activity. - The cost-per-lead for SEO is still very attractive. - Google has significantly tightened the requirements for high-quality SEO. - Integrated marketing strategies have big efficiencies. All technologies and industries mature, and price-points typically change dramatically along the way. SEO is following the same playbook as most other young industries. In the last few years we have seen SEO move from infancy to adolescence, with the Google algorithm updates as mileposts. While SEO will become more difficult and expensive to execute, the return on investment remains high for small business. In the end, ROI is more important than the absolute number of a budget line item.